Two different trailers came out today for two very different projects, the film trailer for the movie version of Jem and the upcoming television series on CBS, "Supergirl." These are examples of how Hollywood has taken two already existing projects and given them completely new takes - one getting everything completely wrong, and the other possibly breathing new life into it. I bet you can guess which one is which. 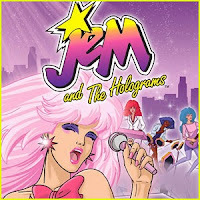 Yeah, I'm a guy, but I'm also a huge "Jem" fan and I can't express how disappointed I was when I saw the above trailer. 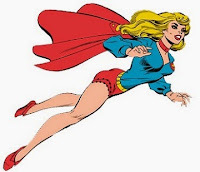 I'm also a big Supergirl fan, mostly of her early seventies stint in Adventure Comics, and while this interpretation is far from that version, I am very interested in seeing it. Just a side note, if you'd like to read my review of the entire "Supergirl" pilot, it's here.